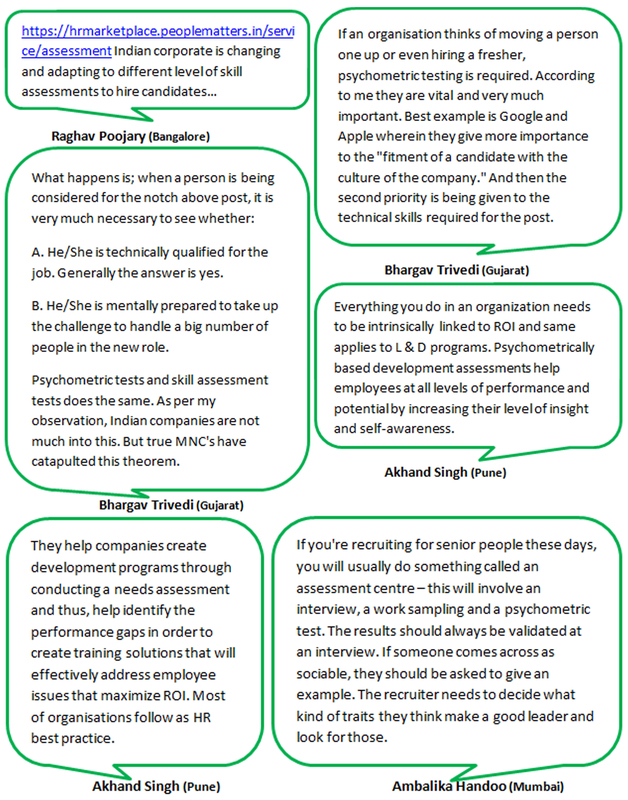 The Talent Acquisition process includes various types of Psychometric Tests used in HR to capture the desired Talent. As Talent Magnets we’re well aware of the type of Talent that’s available and sometimes including Psychometric Assessments as a part of the hiring just might lead you to the perfect candidate. It minimises the time and effort spent in a wild goose chase for talented candidates thus reducing your DOR and helps in meeting you KRAs. The conversation above suggests some useful information about the uses of the psychometric assessments and where to use them. These inputs according to us are important as they even give you guidelines about choosing your psychometric test clubbed together with industry insights that are sure to add to you learning. So if you’ve found this interesting then we’re certain you’d like to know more about safe guarding current & future business prospects as Consultants quite informative as well.